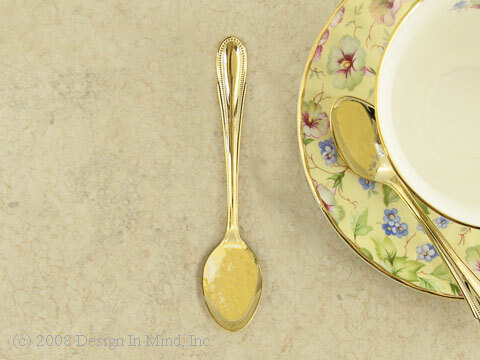 Flatware for tea/coffee service in goldplate, silverplate, or stainless. 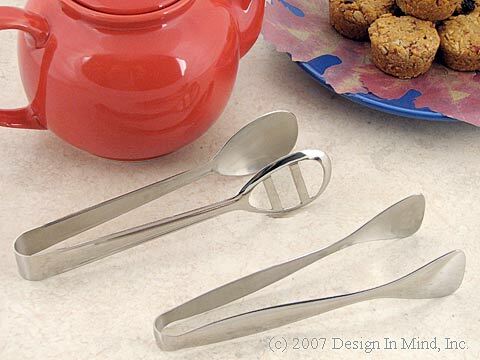 Classic and elegant serving tongs. Vegetable tongs with one slotted side to drain juices, 7.5"L x 1.75"W. Pastry tongs 7"L x 1.5"W. Heavy stainless. Made in Italy. 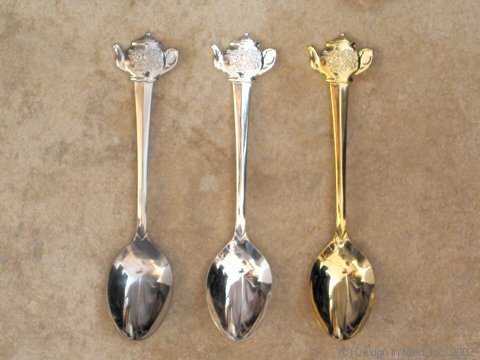 Sugar ladles in traditional or modern style. Finished in gold plate or polished stainless steel. 4.5". 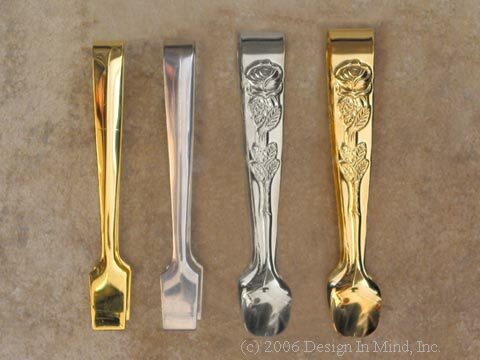 Sugar tongs in modern and traditional styles. The modern style is available in goldplate or stainless. 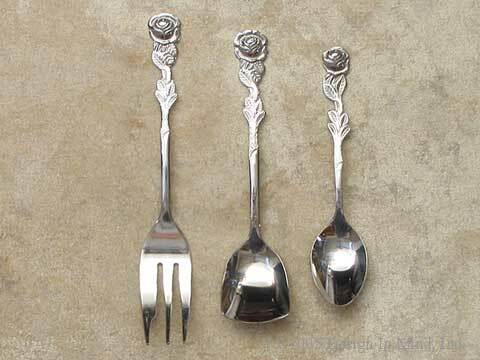 The traditional style tongs are embossed with a rose pattern, available in silverplate or goldplate. Shown left to right. About 4". Coffee spoon with a traditional handle decoration. 4.75" long. Goldplate finish. Demi-spoon with a traditional handle decoration. Finished in goldplate or stainless. 4.5". 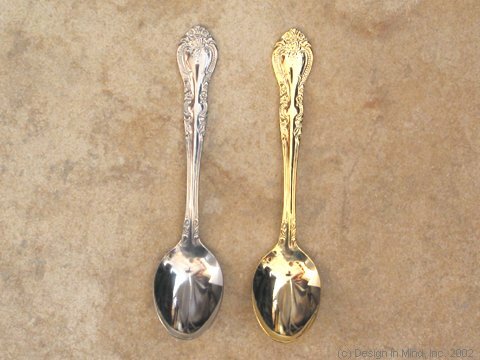 Demi-spoon with a teacup handle ornament. 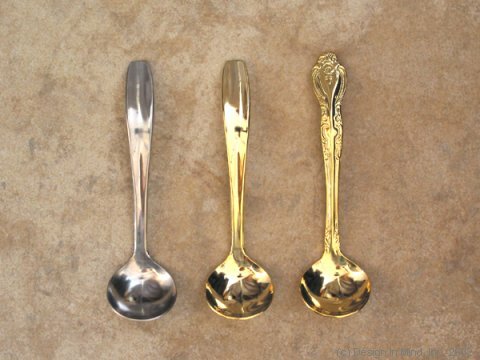 Finished in stainless, silverplate, or goldplate (left to right). 4.5". 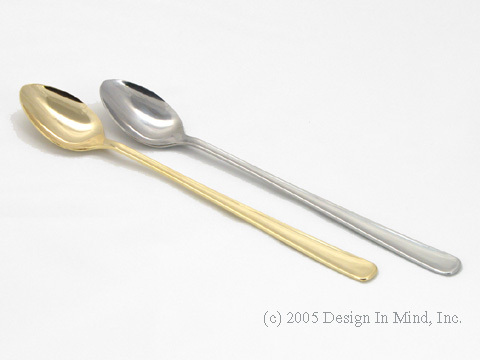 Demi-spoon with a teapot handle ornament. 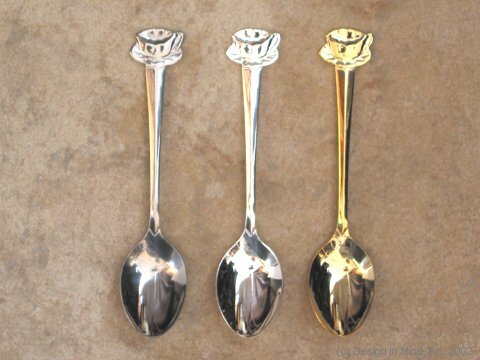 Finished in stainless, silverplate, or goldplate (left to right). 4.5". 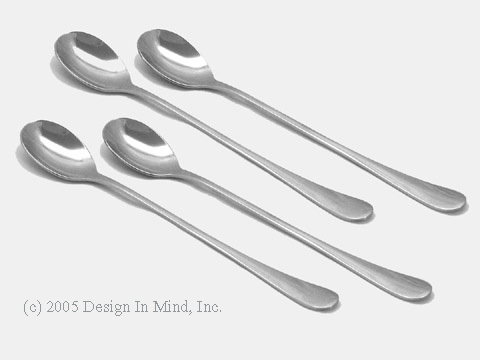 Beautiful stainless rose pattern handle in a pastry fork, dessert spoon, and demi-spoon. Listed left to right. 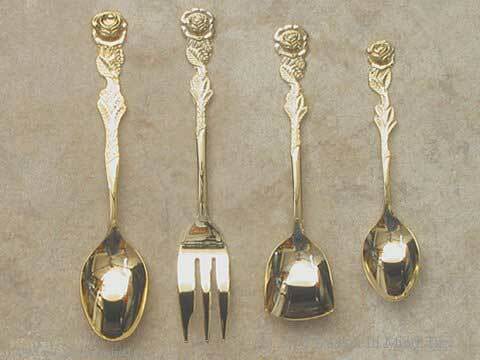 Beautiful gold plated rose pattern handle in a teaspoon, pastry fork, dessert spoon, and demi-spoon. Listed left to right.